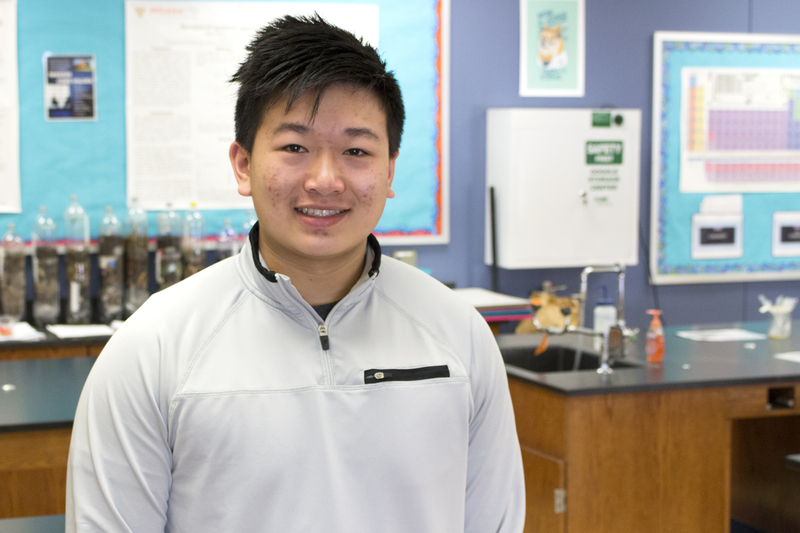 University High School sophomore Andy Tang was one of 230 Indiana students to sit for the 2018 Indiana Section ACS U.S. National Chemistry Olympiad (USNCO) Exam on Saturday, March 3. And he is one of just 14 whose scores qualified him to advance to the next round of competition. The next phase of the USNCO competition is the national exam, which is hosted by ACS Local Sections across the country. The exam includes a multiple choice section, a problem solving section, and a lab practical, and Tang’s exam will be administered at Butler University on Saturday, April 21. More than 1,000 students nationwide will compete. The 20 top-scoring students nationwide will be invited to a two-week study camp held in June at the U.S. Air Force Academy in Colorado. From there, four students are selected to represent the U.S. at the International Chemistry Olympiad. Good luck to Andy as he advances in the USNCO competition!